Since most of my time these days is spent shuttling from appointment to appointment and taking care of a nearly three year old, I haven’t had a ton of time to blog. So here’s just a few snippets to tide you over until I have a few minutes to concentrate. First, I’m working on a new test knit, the Tunbridge Malabrigo Hat. This is my third test knit and, like the first two, is a hat. I’m using two matching balls of mystery yarn I got in a grab bag a bit ago. Initially I thought it was wool but after working with it for a bit, I think it’s a wool/alpaca blend. Or some kind of blend. It’s very soft and a little hairy. So far, so good! 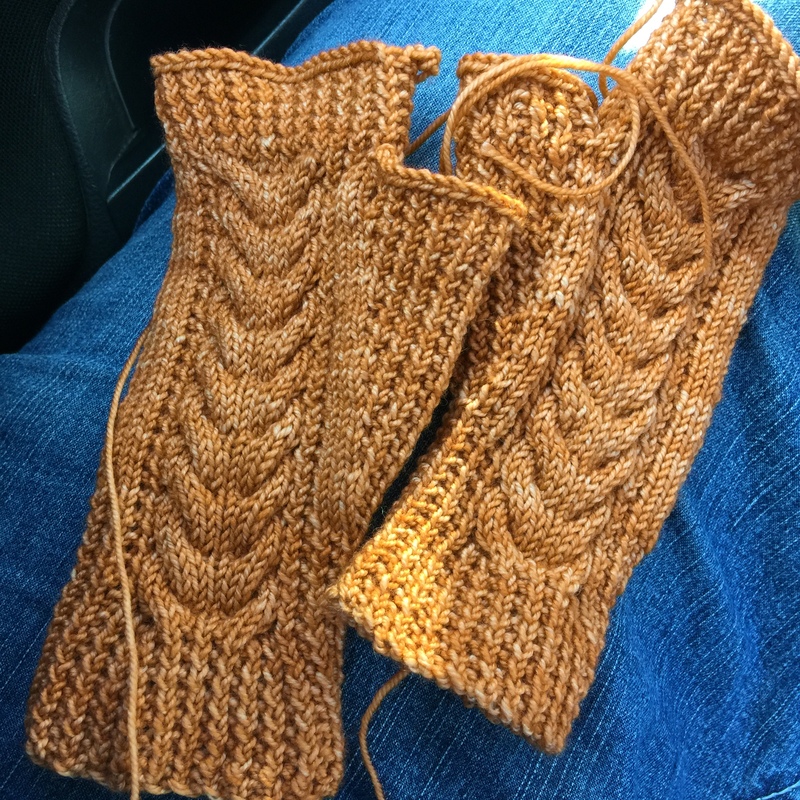 Second, I am very close to finishing my second pair of Passport Mitts. 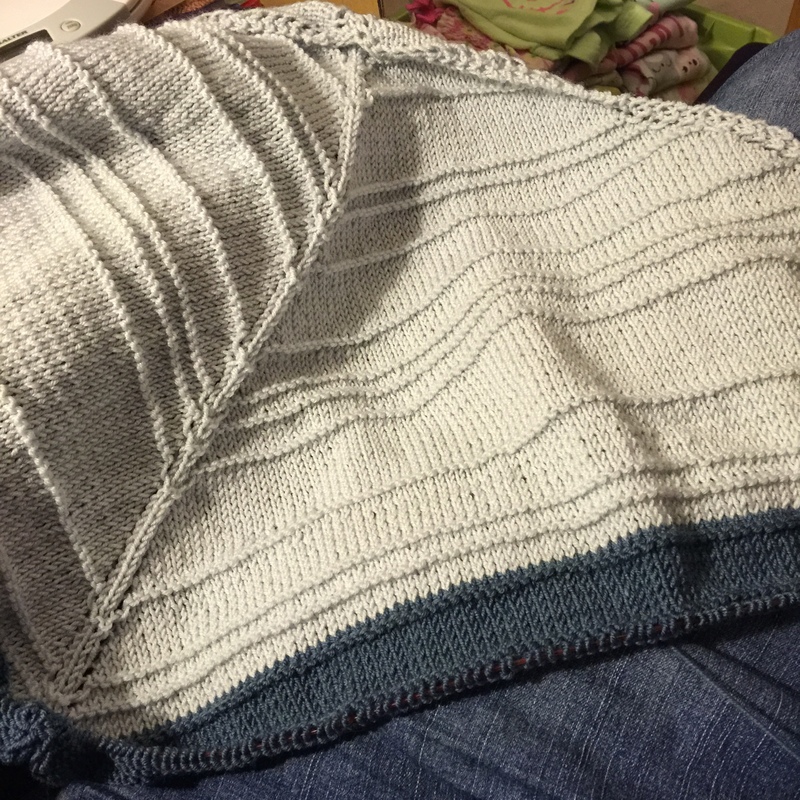 I just need to weave in the ends and they will be done! More detailed review post to follow. FYI, the KAL is still happening. There’s a month to go, which is plenty of time to knock out a pair or three! Check out the pattern here. Third, I am getting more serious about stashbusting. I have a list of Christmas/gift knits I’m working on and once those are done, I’m going to focus more on some of the stashbusting projects I have percolating. There will be chenille scarves, acrylic afghans, and lots and lots of charity hats. It’s gonna be great! Fourth, I am making progress on my Sunlight Shawlette. I wasn’t exactly sure how I wanted to use the darker blue. On the recommendation of the wifey, I switched to dark blue when I was down to one ball of light blue. I’ll knit a wide band of the dark blue (until I run out of yarn) and then finish it off with the light blue. My aim is to use up as much of the yarn as possible. I even switched colors mid row so I didn’t have to waste a length of the light blue. I’m not bothered by it; I think it looks cool. The darker blue in the pic blends in with my jeans a bit, but you can get the idea. Last, but not least, I’m a winner! Yeah, I won something! Actually, two somethings: knittinginfrance hosted a giveaway on her blog, and I am one of two lucky winners! I will be receiving a skein of sparkly hand-dyed sock yumminess called Strawberry Frappuccino and a sock pattern (Strawberries & Cream Frappe Socks) written specifically for that colorway. Check out pictures of both yarn and pattern here (as I foolishly forgot to ask permission to use her photos) and stay to check out her blog and her shop! Also, be sure not to miss her awesome sock knitting prowess! Oh, lucky you! Strawberries and crème socks, how lovely! Makes me anticipate springtime. Congrats on your win. What a fun pattern name. Sock yarn is always a score. Oh and love your passport mitts! This colour rocks. 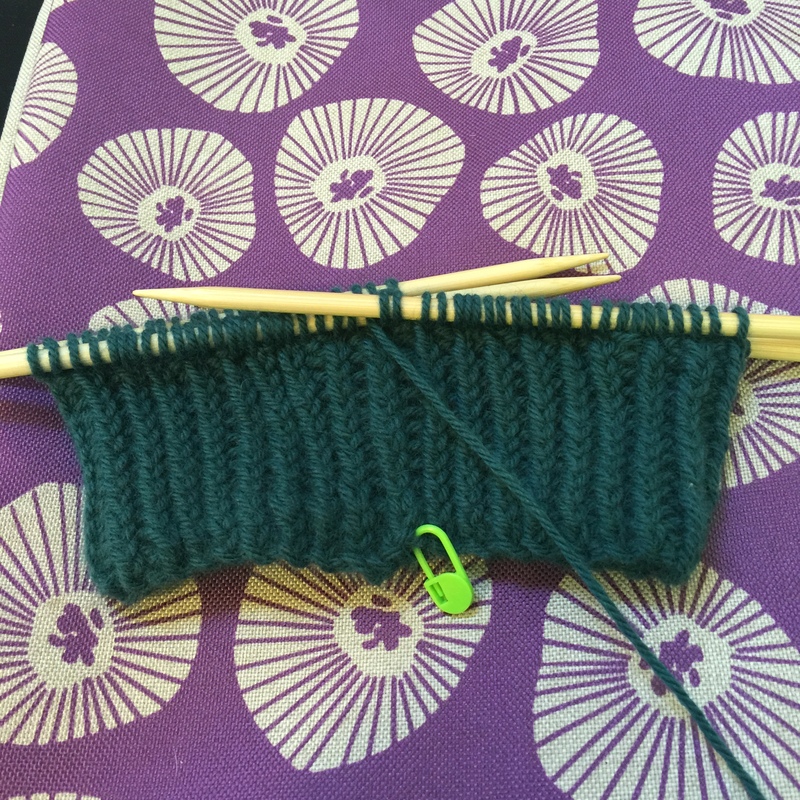 Love the mitts…I always opt for simpler designs, avoiding the fiddly bits but clearly…the effort is worth it! Thanks–I’m trying!! I’ll be happy when this chapter is over and behind me.